I started my career as a photographer in the fashion industry and evolved into a real estate photographer. Working closely with realtors in Annapolis, Baltimore and Washington, DC encouraged me to get a license and work as an agent with Champion Realty. In 2008, my family & I decided to move to Key West and live the dream! I worked in the tourism industry and became a customer service advocate for a vacation rental company for a few years. Also, to better serve the community, I became a Key West Ambassador, Class 13. 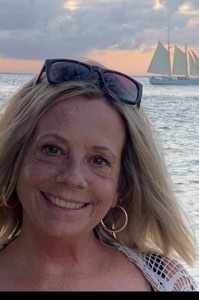 Now that I have my real estate license, I am thrilled to help fellow dreamers find their dream home in the tropical Key West and the Lower Florida Keys! Let me help you make a well-informed decision and help you make the move! See you soon!